NeoDoc, founded in 2004, expert in software for writing, translation, publication, and dissemination of complex documents for both large and small companies. 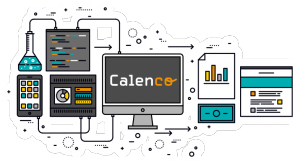 In 2018, with a team of 7 people in Startup mode, we launched the Calenco SaaS solution, accessible to all companies and communities in France and internationally. The position is based in Venelles, France (13 770). As part of the R&D team, you participate in Calenco's growth on user interface functional evolutions. With post-graduate education (possibly with validation of prior experience), you have participated in complex Web development projects, involving various application components communicating by API. You are accustomed to working as part of a team in an international environment. Perfect mastery of English, fluency in French (Spanish or German as a third language will be a plus).